KFA Annual Public Lecture 2015/16 – Dr Kim Akerman, University Club, UWA. UNRAVELLING THE WANJINAS – A START. Kim Akerman saw his first Wanjina paintings in Fred McCarthy’s book Australia’s Aborigines: their life and culture (1957). In 1966 he went to the Kimberley where he made friends with a number of senior people in Broome and Derby and forged ties that continued for many years. In the early 1970s Kim returned to the Kimberley as an anthropologist with the Aboriginal Affairs Planning Authority and then with Community Health Services. From 1979 until 1982 Kim worked as an anthropologist with the Kimberley Land Council and then continued as a consultant before joining the Northern Land Council. Continual fieldwork throughout the Kimberley gave Kim the opportunity to engage in his other interests including learning about the rationale and mythology associated with the rock art of the region; and the traditional material culture and technology from people who had lived in a more traditional environment. Akerman brings to this lecture personal insights in his quest to come to terms with Wanjinas − iconic Kimberley ancestral beings whose spirits still pervade much of the northern Kimberley region today. Wanjinas are perceived as beings, usually characterised by halo-like headdresses and mouthless faces with large round eyes fringed with eyelashes, set either side of an ovate nose. The cosmological significance of the Wanjina cult may, on the evidence now being discovered through recent analysis of the associated rock art, reach back 4000 years. For many people of the north and central Kimberley Wanjina art is continued as part of the fine art process and traditional owners may still ‘refresh’ their images found in clan territories. Through analysis of the literature and his own fieldwork Kim shows how the mythology of the Wanjinas, rather than being disparate tales mesh together to create a great saga that embraces much of the northern Kimberley. In 1987 Kim was Curator of the Gallery of Aboriginal Australia at the emerging National Museum of Australia in Canberra and then returned to Darwin to take up a curatorship at the Museum and Art Gallery of the Northern Territory, retiring from that position in 1999. Since that time Kim has worked as a curator at the Tasmanian Museum and Art Gallery and as a consultant. He is a member of the KFA Science Advisory Committee and serves on the advisory committee of CRARM at UWA. Kim is currently an Adjunct Professor within the Discipline of Archaeology, University of Western Australia. Kim’s time is now spent processing the records of his fieldwork and making the results accessible to the relevant Aboriginal communities, appropriate institutions and others involved in Aboriginal studies. 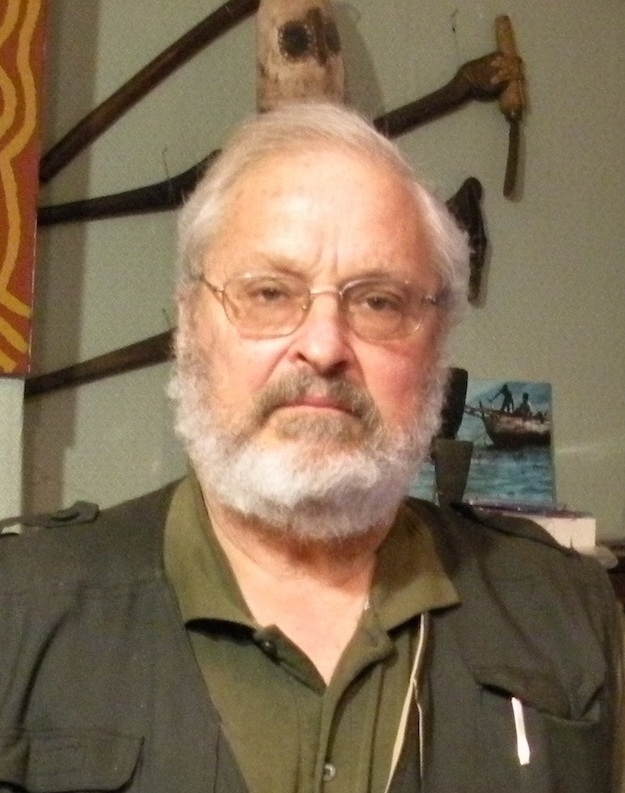 He is also involved with the translation of the results of anthropological research undertaken by early European anthropologists who have worked in north-western Australia and writing papers on topics within his fields of interest. Anthropologist Kim Akerman Kim Akerman spoke to a packed auditorium.